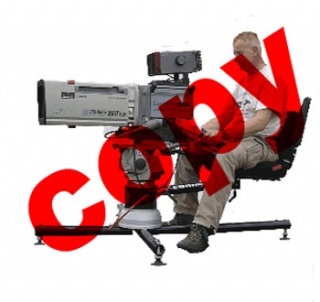 Like all good things in the world our Orbiter camera seat system was copied from very early on. 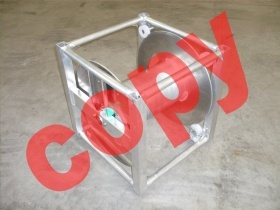 Vidoehouse | VRT/ Belgium assigned Dutch coachbuilder Akkermans to copy our cable drums out of the PV system. More than 50 pieces were discovered to be in use with VRT commercially. Media Luso/ Portugal subsidary of Mediapro distributes copies of the Orbiter 500 superflat in the Mediapro proup commercially since many years. The Chinese companies Secced and Gension are specialized in copying all kinds of broadcasting equipment. 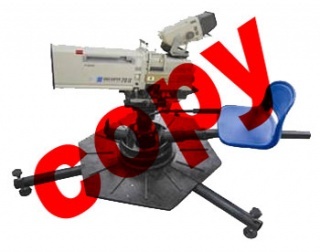 They have been offering a 1:1 rip-off called the "hero" camera seat system. The Secced copy scores with a particularly low quality and poor finish of the copied product. Egripment/ Netherlands soon made a wannabe copy, which they are marketing under the name of "Sportsbase". The Egripment copy is a nice try but no serious competition for the Orbiter. Firstly it is a quite complicated set-up, secondly it consists of too many parts. Last but not least the seat of this system is directly connected to the camera, whereby shock motions are transmitted from the operator to the camera. In either case we want you to give us a chance to prove that our patented Orbiter system is the product of choice in camera seats regarding the quality of manufacturing, the steadiness of the resulting shots and the integrity of our mobile concept. All of these verifiable features justify the higher price counterbalanced by a better product delivery, durability and longevity. Orbiter camera seats and cable drums are IP-protected. We therefore recommend you to avoid the risk of being obliged to put one of these copies out of service. Copy of Orbiter 500 superflat called "Sportsbase"